Did summer feel short to anyone else this year? I feel like we are just starting to enjoy the time off, and my husband goes back to work in just a few short weeks. 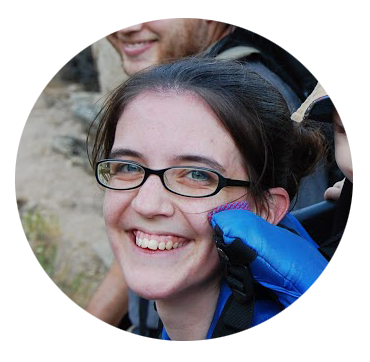 And my oldest is starting kindergarten this year…how did that happen?! 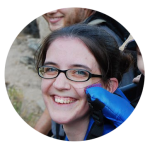 So, whether you’re looking for a little cure for summer boredom or are already storing up some activities for this next school year (in which case, you are far more organized than I am! 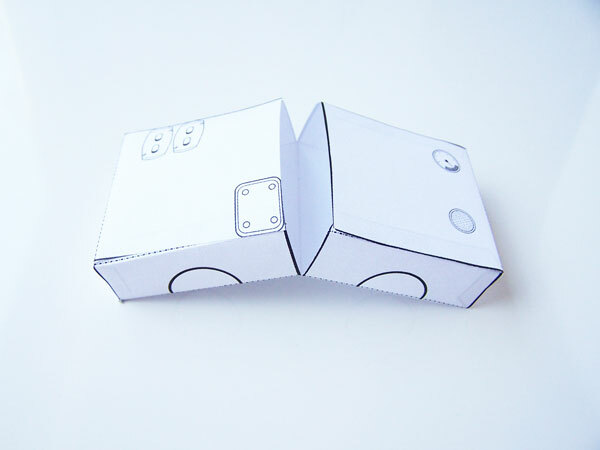 ), I think you’ll find this is a great printable activity to have some fun with. 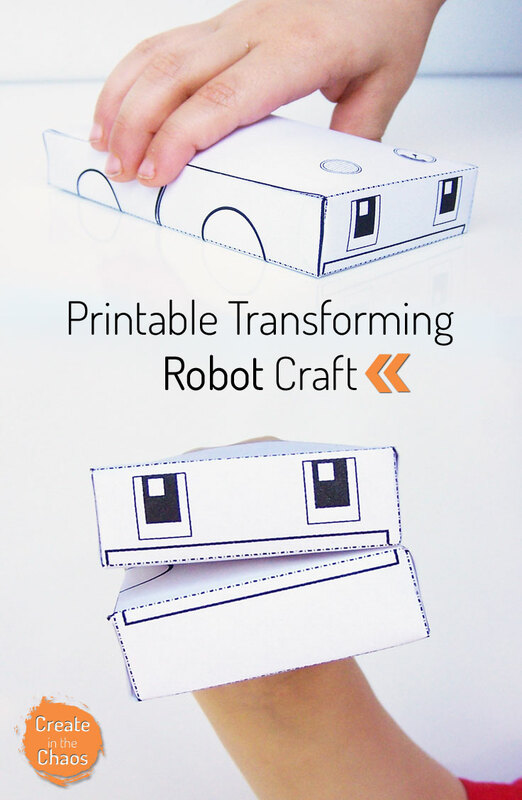 I mean, it’s a robot that transforms…how cool is that? 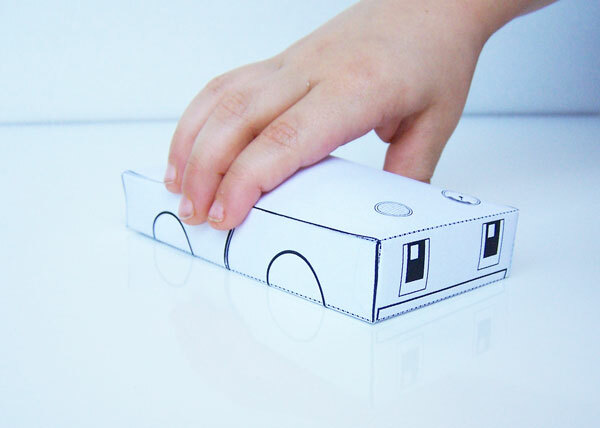 This printable craft is not only a toy car, but transforms into a robot hand puppet. 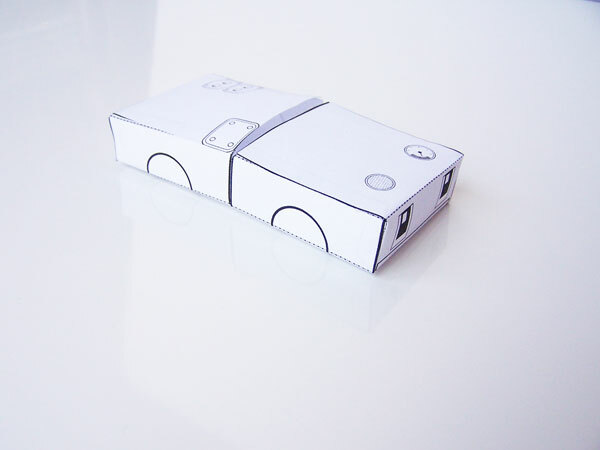 Yep, pretty cool, right? 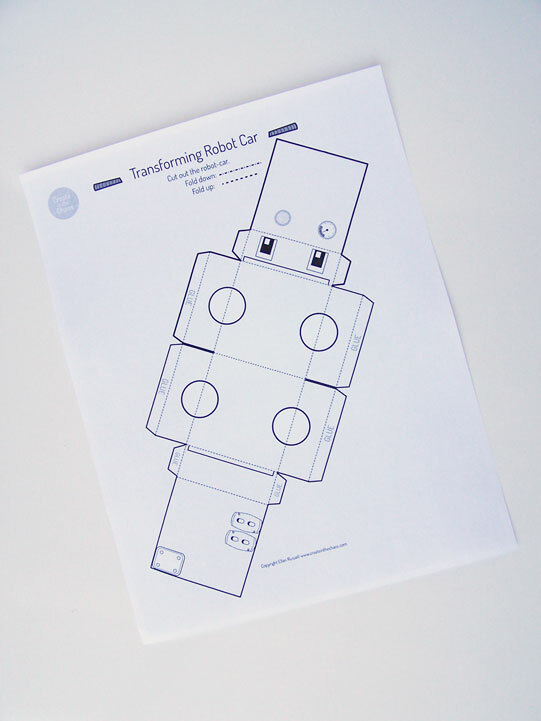 Click here to download the printable transforming robot car. 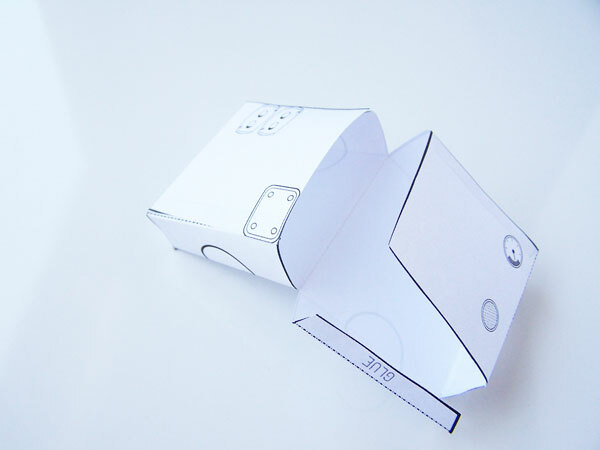 Print it out – either regular paper or cardstock works fine for this project. 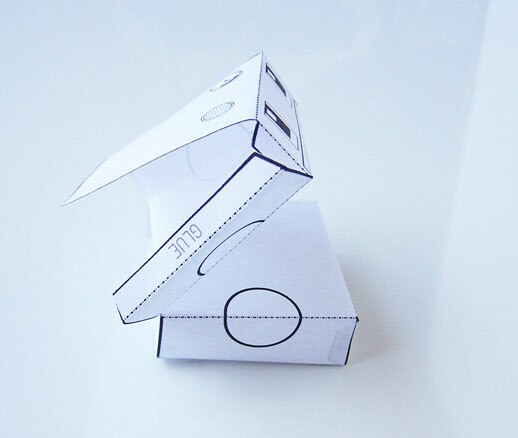 A little tip – cardstock will hold up better, but is more difficult to fold. 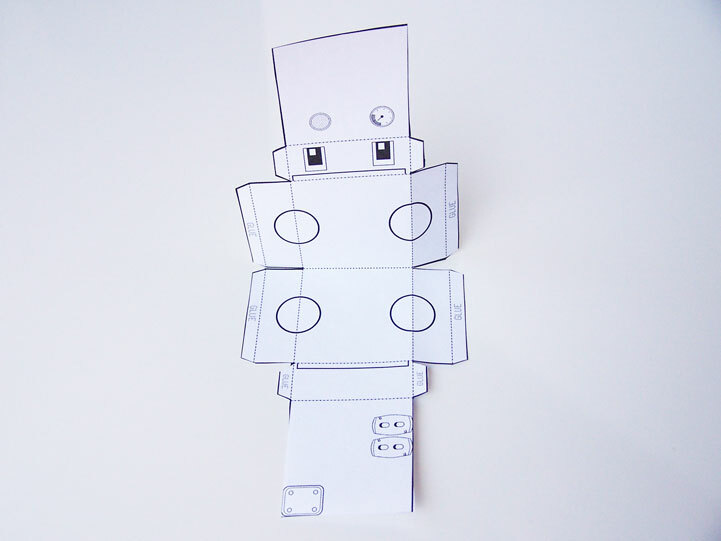 Cut out around the outside edge of the robot – and don’t forget to trim the dark lines in the middle, between the two sections of the robot. 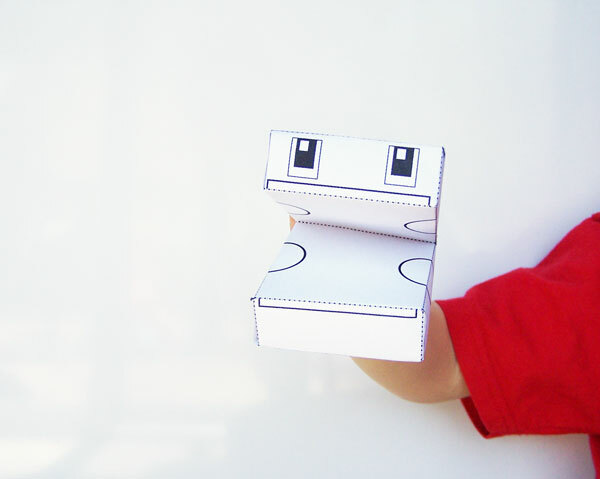 Fold the robot in half,right down the middle on the dotted line. 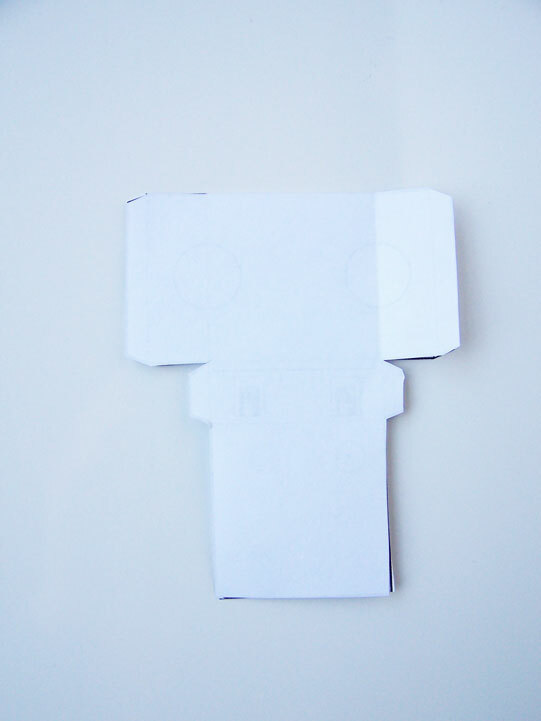 Then fold down on all the other dotted lines. 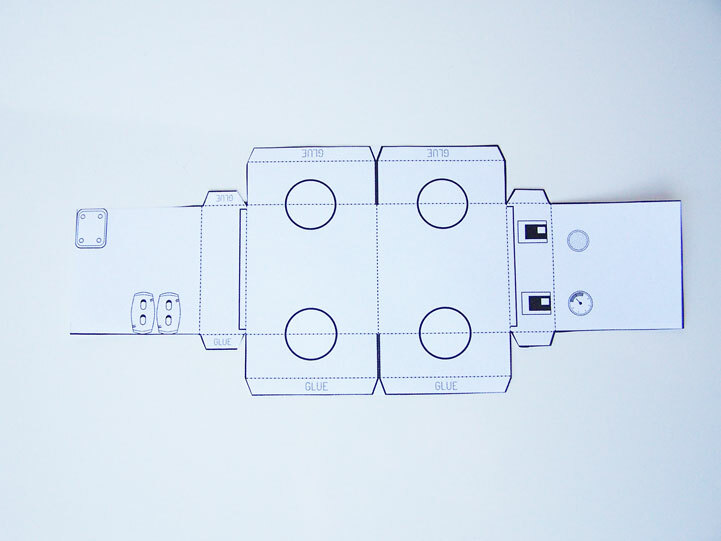 Make sure to fold down the tabs, too. 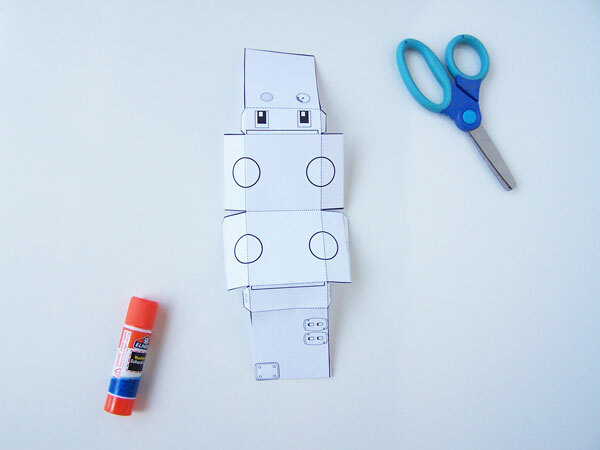 Next you’re going to glue the tabs to form the robot. 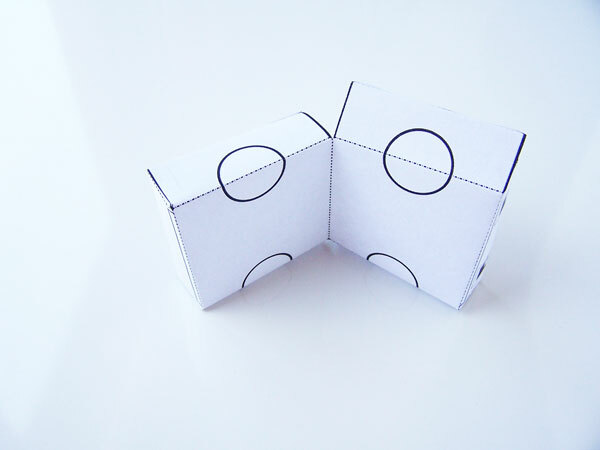 Think of it as two boxes held together by the first middle line you folded. 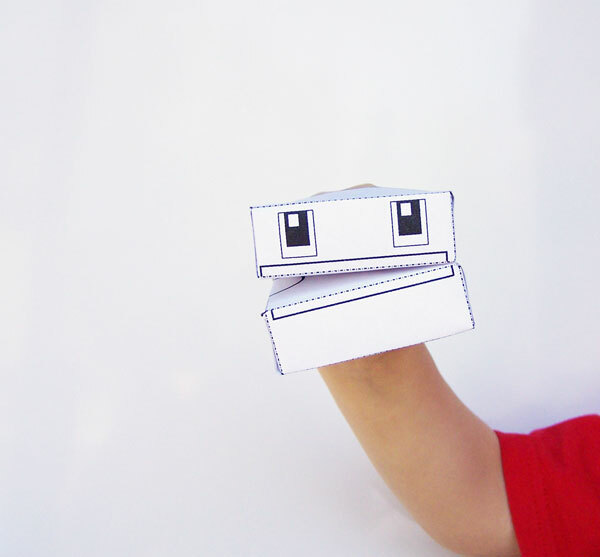 …and it becomes a fun little robot hand puppet. P.S. 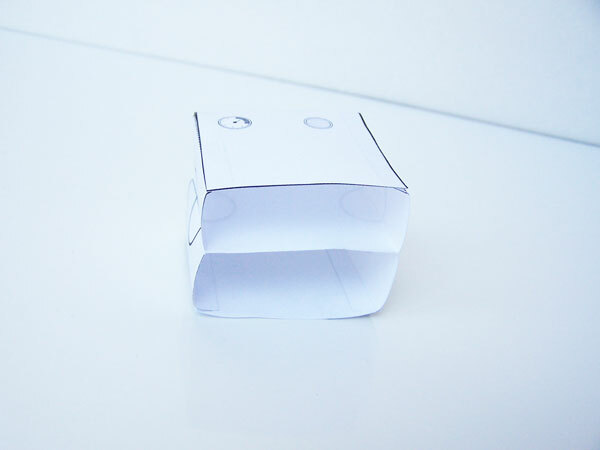 Looking for more printable fun? 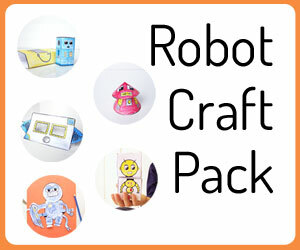 You should to check out my printable craft pack. 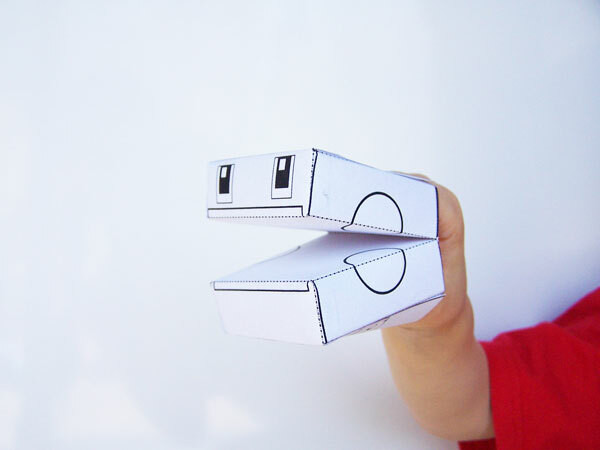 It’s full of 25+ awesome papercrafts, games, and activities for kids. 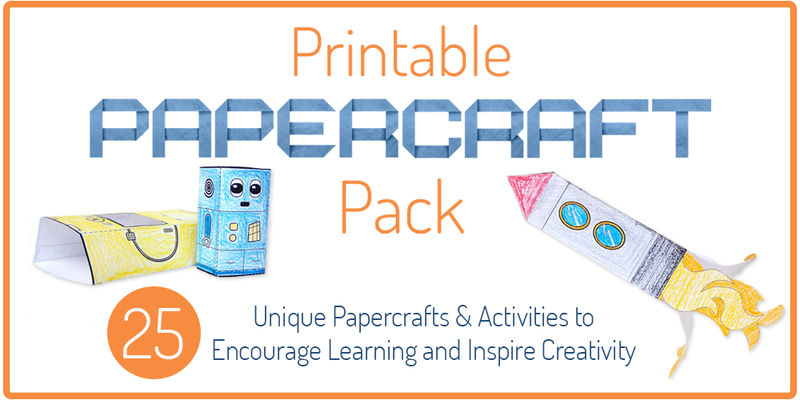 Whether your a teacher looking for some activities for your classroom or a parent wanting to encourage a little creativity in your kids, this pack is a great way to go! Grab it from my Etsy store here.